A women’s rights activist in Iran has said it’s ‘insulting’ for Western visitors to wear the hijab in an attempt at solidarity – and for good reason. Masih Alinejad, who’s tirelessly campaigned against forcing Iranian women to cover their heads, says any Westerner who does so is supporting the subjugation of the oppressed, in a powerful speech shared on Twitter. While some visitors feel they should wear the hijab out of ‘respect for the culture of Iran’, Alinejad instead says they’re ‘sending a message that men are more equal than women’ and leaving her fellow campaigners to fight against the ‘discriminatory law’ entirely ‘on their own’. The issue has been thrown into contention since the Prime Minister of New Zealand, Jacinda Ardern, and a number of white Kiwi women wore the hijab in solidarity with the Muslim community as they grieved the loss of lives at the hands of a white supremacist terror attack in Christchurch on March 11. 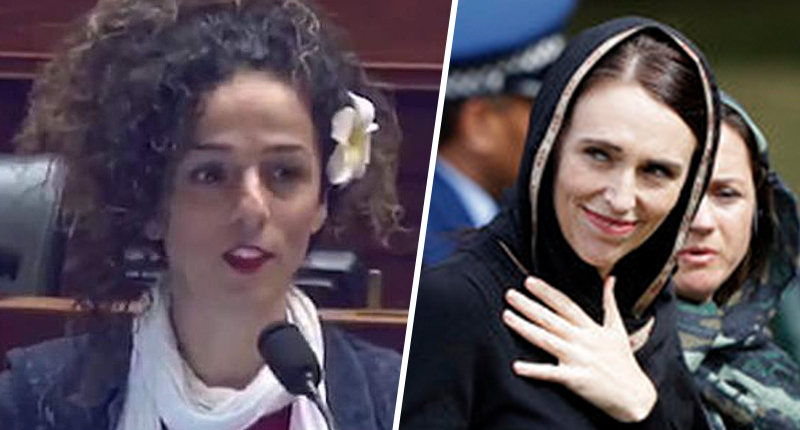 Ms Alinejad said she admired Ardern’s ‘compassion’ for the Muslim community but said it ‘broke her heart’ to see her wearing the hijab, which she went onto describe as ‘one of the most visible symbols of oppression for Muslim women in many countries’. While Ardern was praised for compassion by some Muslims and non-Muslims alike, it must be noted praise does not negate Alinejad’s intellectual and moral criticism of the PM’s choice, as a woman who experiences what she considers oppression firsthand. The Islamic dress code, in place since the 1979 revolution in Iran, considers veiling obligatory for any female above 13 and says they should cover themselves from head to toe while disavowing any figure-hugging dress. Meanwhile, Alinejad argues every politician who wears the hijab in support of Iranian women, is in fact supporting the system which considers their so-called sisters second class citizens. So, the female politicians who go and visit Iran, the tourists, athletes, actresses – all of them, when they go to my beautiful country they say that this is a cultural issue, ‘We wear it out of respect to the culture of Iran’. Let me be clear with you: calling a discriminatory law a part of our culture – this is an insult to a nation. Alinejad also launched the social media hashtag White Wednesdays, encouraging women to empower themselves in the face of these laws by flouting regulations. Followers bravely post pictures and videos of themselves without the hijabs online on the third day of the week.